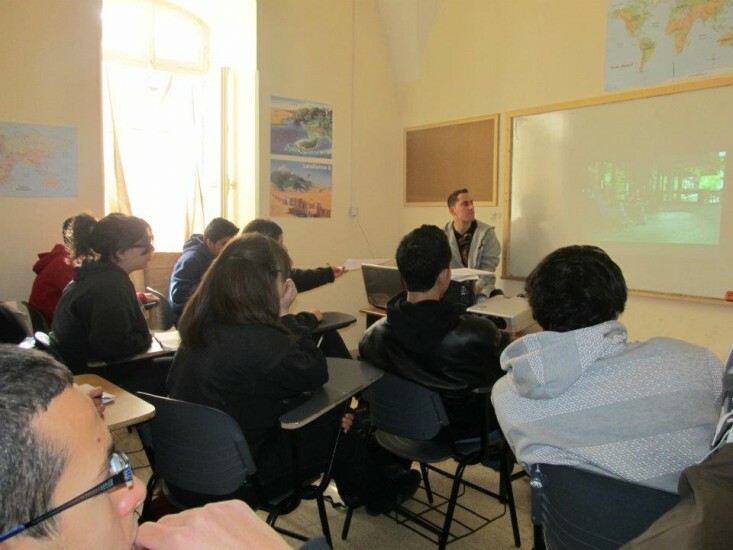 On March 29th, two Palestinian Participants (Basil and Ibrahim), led screenings in Al Aqaba- a Palestinian village located in the Northern West Bank, close to Jordan. One session was for 9th and 10th grade students, and the second was for community members (including the town’s mayor and staff). "For the students, it was the first time they saw Israelis who were not in army uniforms.” Rasha said. “They were curious about the Israeli characters and their motivations, but they also asked challenging questions that reflected the reality of life in Al Aqaba. Even though the discussions were intense and critical of some of the messages of the films, they all said ‘yes’ when I asked if they would be willing to attend such a program themselves.” Rasha also cited that an audience member who was critical of the Israeli and Palestinian dancing together in the film Movement, later admitted to her that it gave him pause to think about what a real solution for peace would look like, something he never gave thought to before. The café owner is now interested in doing more screenings so that the films can reach more people, and one of the audience members is working on getting the films into an upcoming Student Film Festival in Tel Aviv. What kinds of action could actually shift cycles of violence? One student, who had attended a screening and presentation of the 2008 Peace It Together films, remarked that being able to engage in a facilitated dialogue with other audience members, rather than just watching a presentation, allowed for a deeper and more meaningful experience. Do you know a class or campus group that would be interested in hosting Peace it Together? Are you part of a community group, youth group, or religious group that wants to dialogue about the Israeli/Palestinian conflict? 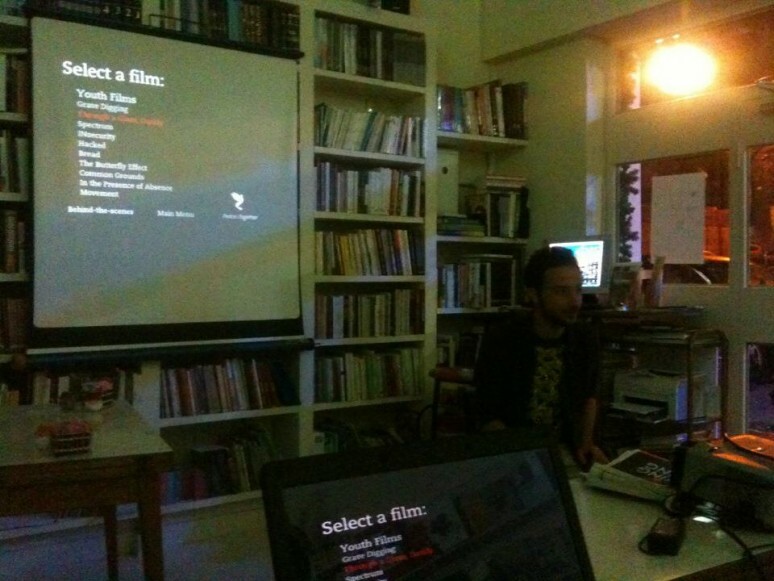 Get in touch to organize a screening.